In an effort to learn how to take beautiful photos of my family and friends, I’ve spent the last six months learning as much as I can about photography. As you might imagine, the basics weren’t enough for a geekmom, so I dug into the science behind the photography. Over the next few weeks, I’m going to share a number of lessons dealing with the essentials of photography, some of the science behind the images, and products that are likely to make your pictures easier or better. This first lesson will deal with the basic properties of light and the most basic ways to capture that light. Future lessons will talk about the exposure triangle: aperture, shutter speed and ISO. Light is everywhere, even in the darkest recesses of space. There are a few basic properties of light that are important for photographers to remember while they are composing scenes. These principles are straightforward and it’s likely that you learned most of them in basic high school level science classes. 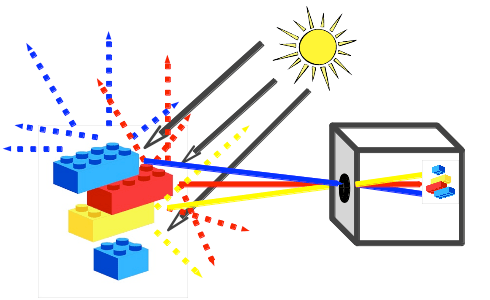 Imagine looking at a stack of legos outside on a completely sunny day. 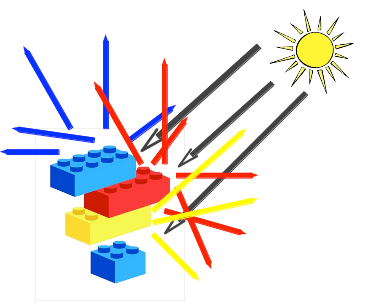 The light that comes from the sun in the direction of the legos will reflect off the surfaces in all sorts of directions creating diffuse light. 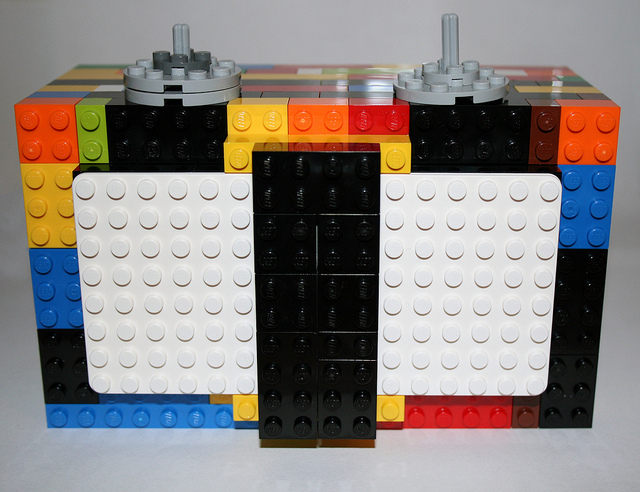 This shows how the size of the hole, or aperture, effects the sharpness of an image.